A dead warrior whose soul Hades brought back so he could fight Hercules. 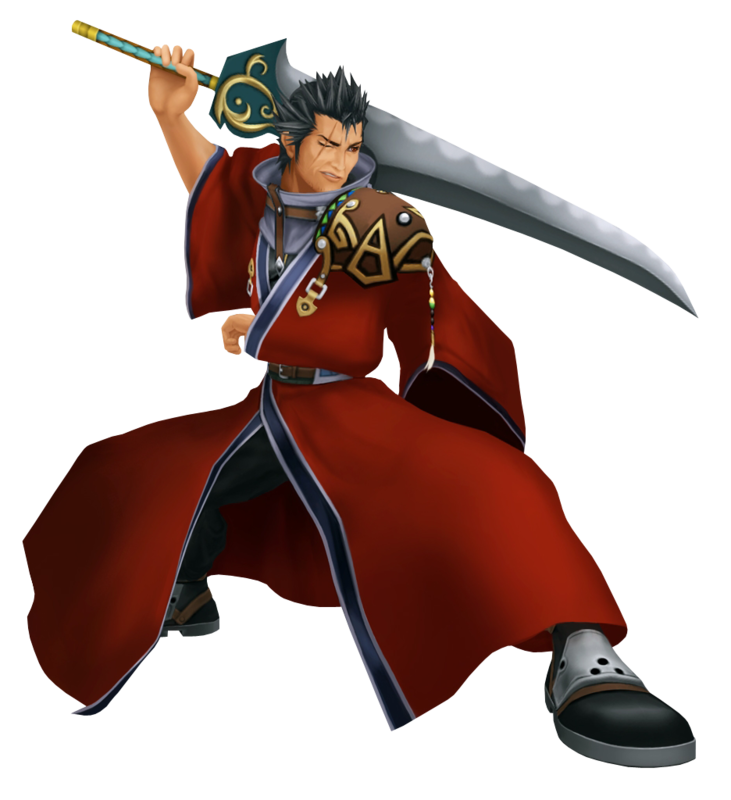 Strong willed and independent, Auron told Hades quite simply that he was not part of Auron's story, and sided with Sora rather than Hades. Seeing how the boy handled himself along with his friends, Auron wondered if their meeting wasn't fated so he'd become Sora's guardian. He was fated to go against that theory when Hades enslaved Auron by locking his free will inside a statue in his image. Thankfully, Sora, Donald and Goofy managed to restore Auron's will, and together with him and Hercules, defeated Hades. Revived, Auron must decide what to do. In his life, he lived protecting others. As he no longer has anyone left to protect, he set off to write his own story for the first time.